Healthy Summer Cooking with @CarringtonFarms! Summer is a time filled with vacations, travels, beach trips and staying cool! But don't forget to stay healthy with the help of Carrington Farms! 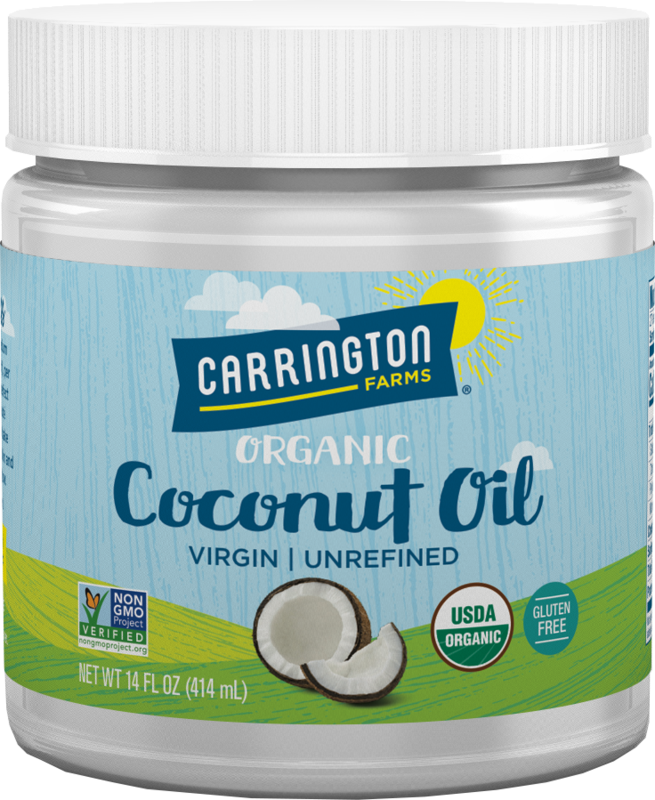 Carrington Farm's cold-pressed Organic Extra-Virgin Coconut Oil is a better-for-you oil! 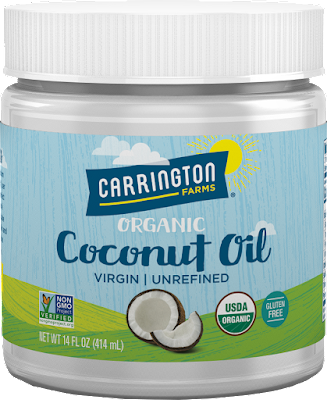 Unrefined Organic Extra-Virgin Coconut Oil is simply pressed and packaged so it retains its original nutrient content, flavor and color. I love that it is Certified organic and has no trans & hydrogenated fats! This summer, try it as a delicious replacement for butter or fat; sauteed vegetables, roast sweet potatoes, add to smoothies or mix into cereal! We really use it for EVERTHING - popcorn, with our essential oils, and so much more! Use for skin or as a hair moisturizer, even apply it to bee stings and bug bites to soothe and heal wounds! And another favorite for the summer cooking is Carrington Farm's 12oz Organic Ghee which is Better for you than butter! 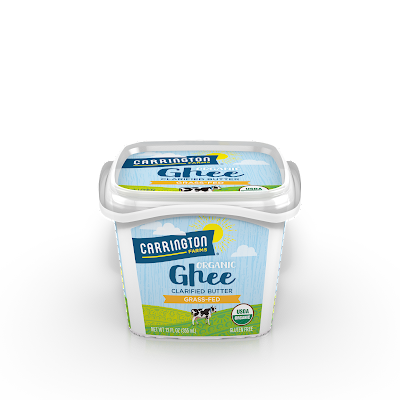 Ghee is an ancient food that contains significant levels of Vitamin A, D and E. Ghee is a clarified butter that contains Linoleic Acid to help balance cholesterol levels. It is known to reduce inflammation and increase energy. We use it with our cooked vegetables, toast, waffles and pancakes and so much more! Try it on corn on the cob this summer as well - MMmmmmm!!! You can purchase all Carrington Farms products online or at a local store near you.